Candidates who are seeking for Arunachal Pradesh PSC Recruitment 2018 are informed that Arunachal Pradesh Public Service Commission has declared 667 PGT &TGT Vacancies. Interested Participants should check here education, age, and application fee for Arunachal Pradesh PSC PGT & TGT Vacancy 2018. Online registration is started from 07.06.2018 for Arunachal Pradesh PSC Jobs 2018. Applicants can register up to 09.07.2018 only so candidates harry up. Here we explain you complete details about Arunachal Pradesh PSC Jobs 2018. Arunachal Pradesh Public Service Commission is going to conduct written examination for PGT and TGT Post. Applicants can fill up their application form with the help of links given below. You may also download Arunachal Pradesh PSC Notification 2018 either from the official website or from links given below. Before applying candidates should read all the given details carefully for Arunachal Pradesh PSC TGT Recruitment 2018. What Is The Require Documents of Arunachal Pradesh PSC JE Recruitment 2018 ? How to Apply Form For Arunachal Pradesh PSC Recruitment 2017, APPPSC Mo Jobs Application form ? What is the Eligibility Criteria Required for filling APPSC Recruitment 2017 Application Form, APPSC Jr Specialist Doctor Qualification Details ? Here we will explain you area wise classification of vacancy for APPSC Recruitment 2018. Candidates must check here division of vacancy according to their criteria for Arunachal Pradesh PSC Recruitment 2018. Participants should download their Arunachal Pradesh PSC Notification 2018 either from here or from the official website. Participants who are going to take part in Arunachal Pradesh PSC Recruitment 2018 must check below section. here we gave you complete details about Arunachal Pradesh PGT Vacancy 2018. Participants may also download official Arunachal Pradesh PSC Notification 2018 from given below links. For Post Graduate Teacher Post: Candidates must have 2nd Class Master Degree in the concerned subject with B.Ed from recognized University. For further more details applicant should check official notification of Arunachal Pradesh PSC Bharti 2018. For Trained Graduate Teacher Post: Applicants will be completed their Bachelors Degree in Science/ Commerce/ Arts from recognized University with B.Ed. For more information related to Arunachal Pradesh PSC Recruitment 2018 participants should check official notification. Age Limit for PGT Candidates is 18 years to 35 years for Arunachal Pradesh PSC Vacancy 2018. For TGT Participants minimum age is 18 years and maximum age is 33 years for Arunachal Pradesh PSC TGT Jobs 2018. Upper Age Relaxation : 5 years of age relaxation are given to Arunachal Pradesh Government employees and APST Applicants. For Upper age relaxation details, candidates may read official Arunachal Pradesh PSC Recruitment 2018 notification with the help of links given below. 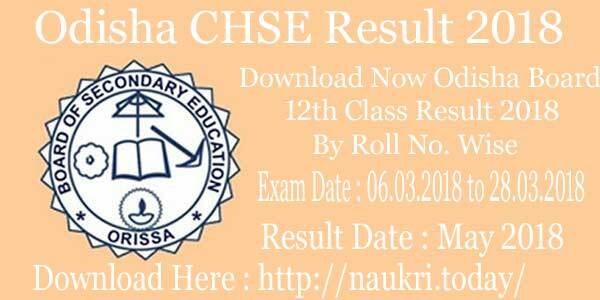 Candidates will be selected on the basis of marks obtained in written exam. So applicants must prepare hard for written test to grab Arunachal Pradesh PSC Vacancy 2018. Arunachal Pradesh PSC may also take objective type test before written exam for shortlisting participants. Participants must download Official Arunachal Pradesh PSC Notification from links given below. If you are interested and also fulfill Arunachal Pradesh PSC PGT Vacancy eligibility criteria then fill the online form here. Before going to apply online you must have required documents and valid email id and mobile no. You must keep scan copy of photograph & signature. Now you can apply for Arunachal Pradesh PSC Bharti 2018 before the last date 09.07.2018. First of all, go to official site appsc.gov.in. 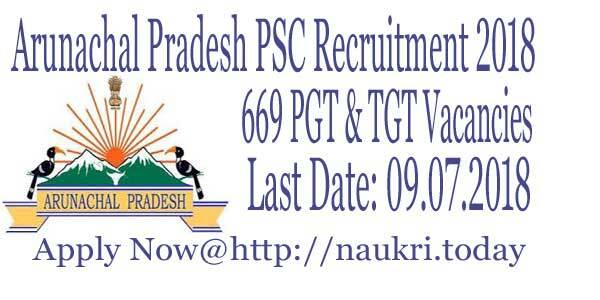 Click on the link to download APPSC PGT & TGT Vacancy Notification. Read it carefully and if you are eligible for Arunachal Pradesh PSC PGT Jobs then go to the online portal. First must register on the portal with filling up personal details like name, gender, dob, password, email id and others. After that, you will receive unique id and password to log in with your Arunachal Pradesh PSC TGT Recruitment Application Form. Submit Arunachal Pradesh PSC Recruitment online Form. Conclusion : Arunachal Pradesh Public Service Commission has recently issued notification for filling up 667 PGT & TGT posts. Applicants who are interested and eligible also can fill Arunachal Pradesh PSC Recruitment 2018 online form either here or official site. The last date of online registration is 09.07.2018. Are you searching job in Arunachal Pradesh State ???? If yes, then here is good news for you. Arunachal Pradesh PSC Recruitment 2018 for filling up 114 Junior Engineer Post.The APPSC Job Notification is raised on 16.03.2018. Applicants who are interested and also fulfill eligibility criteria may apply through online mode. You can fill APPSC Recruitment 2018 Online Form on or before last date 20.04.2018. Candidates who are going to apply for Arunachal Pradesh PSC JE Vacancy must read below section. Arunachal Pradesh Public Service Commission is inviting online form for 114 JE Vacancy. The APPSC Junior Engineer Jobs Form available here or official site from 16.03.2018. Candidates may apply for Arunachal Pradesh PSC Vacancy before the last date. Applicants should check details related to Arunachal Pradesh PSC Jobs 2018. Furthermore information of APPSC JE Recruitment you can collect from given below topics. Desired candidates must fulfill eligibility criteria of APPSC JE Jobs 2018. If applicants are not eligible, they can’t apply for Arunachal Pradesh PSC Junior Engineer Recruitment. It comprises details of education qualification, age limit and others. For JE under PHE & UD : Candidates must have 03 years Bachelor Degree/Diploma in Civil Engineering from Recognized University/Institute. For Junior Engineer under PHE, UD & RWD : Applicants must completed 03 year Diploma/Degree in Civil Engineering/Agriculture/. Arunachal Pradesh PSC Recruitment for JE jobs degree/diploma must be from any recognized university/institute. Furthermore information check APPSC Job Notification 2018. 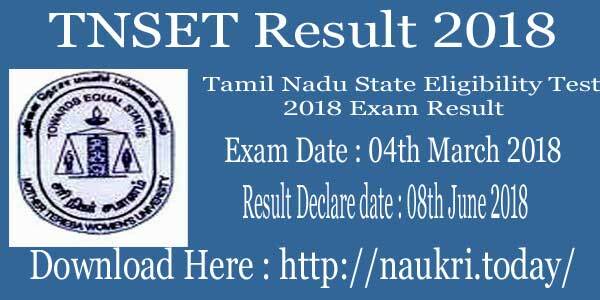 The age criteria is decide as on last date i.e 20.04.2018. According to age criteria applicants minimum age should be 18 years. Candidates who are going to apply for APPSC Recruitment should not be more than 30 years. The upper age relaxation is applicable as per Arunachal Pradesh Govt. norms. Furthermore details you can check APPSC Notification 2018, available on below section also. Applicants will get select according to their performance in written test. Candidates who are qualified in written examination then will be call for viva-voce/interview. The interview for Arunachal Pradesh PSC Jobs organized at Itanagar. Further information like exam pattern and minimum qualified marks mention below. After qualify the written test & interview candidates will select for Arunachal Pradesh PSC Recruitment 2018. Selected candidates will get Rs. 9300/- to Rs. 34800/- with Grade Pay Rs. 4200/-. Further information check APPSC Notification 2018. For apply APPSC Junior Engineer Recruitment applicants need to pay application fees. APST candidates have to pay Rs. 100/- while non APST applicants need to pay Rs. 160/-. Fees will be paid through online mode. Furthermore information check APPSC Recruitment Notification. Aspirants who are interested and also eligible for APPSC Recruitment can apply through online mode. Before apply all candidates must have valid email id, mobile no., scanned copy of documents. To apply for Arunachal Pradesh PSC Junior Engineer Jobs, you can follow given below instructions. First of all, go to official site www.appsc.gov.in. At home page you can find Arunachal Pradesh PSC Recruitment Notification. Download it and read carefully. Then go to Apply Online For APPSC Junior Engineer Jobs 2018. APPSC Online Application available in front of you. First Register, you require to enter your personal details. If you already registered for Arunachal Pradesh PSC Recruitment they you go to login page. Login with your email id & password, which you filled at the time of registration. Then enter other require information on your Arunachal Pradesh PSC Vacancy Form. Upload all required documents list is mention on below section. Pay application fees of APPSC JE Recruitment. Submit it and take print out of your APPSC Online Form. You can direct apply online through direct link, mention below. Conclusion : APPSC Recruitment 2018 for 114 Junior Engineer Vacancies. Interested and eligible candidates can fill APPSC Online Form from 16.03.2018. Arunachal Pradesh PSC Recruitment 2018 Online Form available till last date 20.04.2018. Dear Candidate here is news for you Related to Arunachal Pradesh PSC Recruitment 2017. Department of Arunachal Pradesh PSC has released a APPSC recruitment 2017 Notification on 04.07.2017. There are 283 Vacancy of Assistant Engineer, Medical Officer & Junior Specialist Doctor post. Eligible candidate can fill the APPSC application form before the last date 09th August 2017. Applicants who are interested for APPSC jobs can check “What is Eligibility Criteria For APPSC MO Vacancy” ? Full Form of APPSC : Arunachal Pradesh Public Service Commission is know as APPSC. Now Department has decided to recruit the candidate for MO, AE & Jr. Specialist post. Applicants who are fill the form should be selected through written exam followed by Interview. Applicants can check here for all the details related to Arunachal Pradesh PSC Recruitment 2017. Check Here for more detail educational qualification, age limit, application fee, pay scale, selection process for APPSC Recruitment 2017. For Asst Engineer Jobs : Bachelor’s Degree in respective Trade from any authorized University is required or applying Arunachal PSC Jobs Application form. Age Limit Required for the Assistant Engineering Recruitments 2017 : Applicants age for Arunachal Pradesh PSC Recruitment 2017 should be in between 18 year to 30 Years as on 09th August 2017. For the ST/SC candidates Age relaxation is Applied Through on the rule of Arunachal Pradesh government. Pay Scale for Arunachal Pradesh public service commission Job 2017 : Selected applicants will paid pay band of Rs. 15,600/-t o39,100/- with grade pay Rs. 5,400/- for Arunachal Pradesh PSC Vacancy 2017. Selection Process & Exam Procedure of Arunachal Pradesh PSC Vacancy 2017 : Selection of the candidates for Arunachal Pradesh PSC Recruitment Recruitment 2017 will based on written examination & Personal Interview/ Viva Voce. Written Exam Will be objective type in nature. Candidates can get full information about Examination from official APPSC Jobs Notification. After that click on the Notification of “APPSC Recruitment 2017”. Read the full notification carefully. if you are eligible, then Download the APPSC Application form. After download, Take printout of Application Form. Fill the APPSC Application form Carefully without any mistakes. Paste the recent passport size photograph in Application form. And then Attached the scan copy of required Documents and Certificates. After then recheck the filled details. Now send the Arunachal Pradesh PSC Jobs Application form before the last date on the given Below Address. 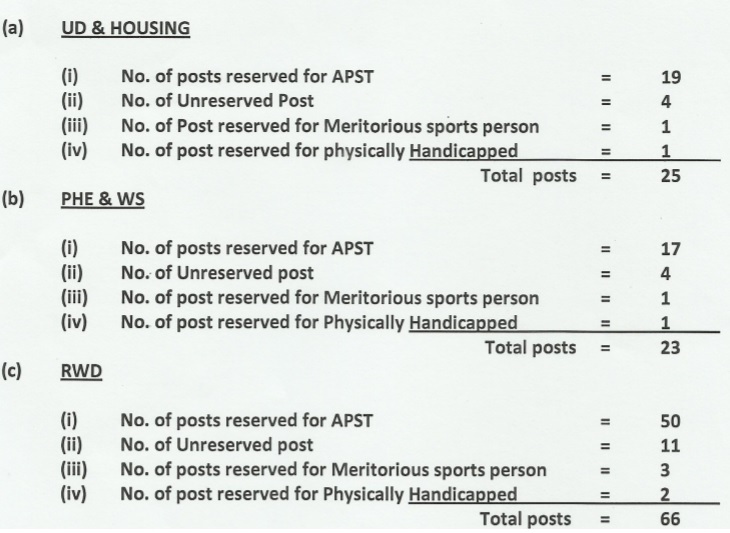 Conclusion : Arunachal Pradesh Public Service Commission issued the Notification of Recruitments of 283 Assistant Engineer, Medical Officer Jobs. Candidates who are Eligible for Arunachal Pradesh PSC Recruitment 2017 can fill application form before the last date 09.08.2017. Dear Applicants, Arunachal Pradesh Public Service Commission has released advertisement for recruiting candidates on 134 junior Specialist Doctor Vacancy. Candidates who have done Medical Degree can fill application form for Arunachal Pradesh PSC recruitment 2017 from here. Mode for applying Application form is Offline mode & closing date for submit APPSC Specialist Doctor Jobs Application form is 31st July 2017. Arunachal Pradesh PSC is inviting prescribed application form for those candidates who are looking for APPSC Vacancy. PSC Department has issued 134 Jr Specialist Doctor Under Health & family Welfare department. Candidates can fill application form for Arunachal Pradesh PSC Vacancy & submit it on correct postal address. Information about Arunachal Pradesh PSC Vacancy like Eligibility Criteria, Postal Address etc. you can check from given below details. Educational Qualification Details for Arunachal Pradesh PSC Jobs : Candidates must have done A Medical Degree/ Post Graduation Degree/Diploma from any recognized University for APPSC Recruitment 2017. Candidates must have minimum 03 years for Post Graduate Degree holder & 05 years for Post Graduate Diploma Holder for Specialist Doctor Jobs. Age Limit for Arunachal PSC Jobs : Upper age of the candidates for Arunachal Pradesh PSC Recruitment 2017 should be 40 years as on 31.07.2017. Relaxation in age for APPSC Specialist Doctor Vacancy is applicable up to 10 years only for those Candidates who serving As GDMO. What is the Selection Process For APPSC Recruitment 2017 ? Selection of the candidates for Arunachal Pradesh PSC Recruitment will based on Viva Voce & Personal interview. 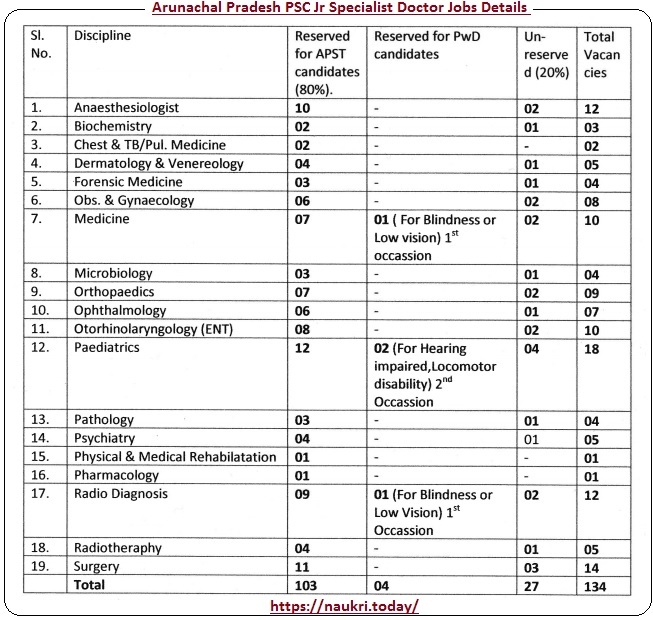 Application Fee for Arunachal PSC Jr Specialist Doctor Vacancy : APST Candidates should need top pay Rs. 120/- & Other Category candidates must paid Rs. 180/- for applying APPSC Application form. Fees should be paid through DD/ IPO for Arunachal PSC Vacancy 2017. First of all candidates log on to the official website www.appsc.gov.in. Now click on official Arunachal Pradesh PSC jobs Notification. Now click on Download Arunachal Pradesh PSC Recruitment Application form. Then Attach photo & required documents with application form. Deposit application fee & attached with application form. Now send the duly filled application form on correct postal address. Arunachal Pradesh PSC Recruitment 2017 for 134 Junior Specialist Doctor Jobs. Candidates can fill application form for APPSC Recruitment from here before the last date 31.07.2017.